Wimbledon happens to be obligated to protect its ticketing procedures after tv viewers criticised how many empty seating in its main tv show courts through the men’s quarter-finals. While most of Centre legal and courtroom one ended up being filled with followers, big blocks of vacant chairs were noticeable behind the former’s royal box, suggesting the unused passes belonged to users or those on business hospitality bundles. Countless tickets daily are assigned to corporate sponsors including Aegon, Nike, JP Morgan and IBM, which also lay-on hospitality for their visitors in marquee rooms inside the each England Club. As Murray and Pospisil entered the courtroom at 1pm, a few hundred seats into the rows behind the royal box remained unoccupied. Though some latecomers recorded in during following games, by the time Murray took the very first set 6-4 after 36 minutes of play there have been still practically 100 perhaps not used a few huge obstructs, nearly all which stayed vacant for the rest of the match. The royal field, in comparison, was loaded throughout, with guests including the Duke and Duchess of Cambridge, Prince Albert of Monaco, Paula Radcliffe and Sir Matthew Pinsent arriving on courtroom fleetingly before play began. David Beckham and his child Romeo ensured that they had taken their seating near the people’ package in fun time when it comes to start of play. One corporate guest, just who declined to-be called, said that at 2pm, an hour into Murray’s match, a number of hundred individuals were still “milling around” inside hospitality areas rather than using up their seating. But Wimbledon defended its policies, saying fewer than 10per cent of tickets in Centre legal and courtroom one were assigned to the hospitality market. 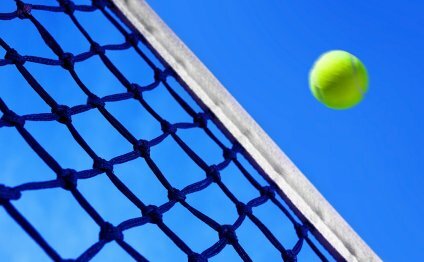 A spokesman stated: “Wimbledon’s plan is definitely to ensure passes tend to be allocated relatively.” They stated the majority of seats had been offered through the community ballot, the LTA ballot and also the queue, alongside the 2, 500 Centre Court and 1, 000 courtroom one passes assigned to debenture holders.